There are a lot of new features over at Yahoo Search Marketing, and they are explaining them on the Yahoo Search Marketing Blog, in posts like Improving Ad Quality, Part I and in Yahoo’s Search Marketing Help. 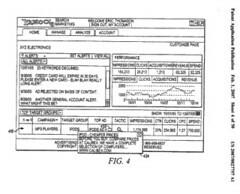 As I was searching through patent applications this morning, I noticed a number of newly published applications from Yahoo on paid search marketing that describe things that also seem to appear in the new system, such as the ability to to A/B testing. As with any patent applications, what is described in these may be different from what is actually implemented in a number of ways, but if you are interested in paid search you may want to take a look at them. Since there are so many, I decided that I would link to them here, and post the abstracts from them rather than take weeks to read through them and write about them individually.